Not this year! Commissions have been flowing in non stop, the evening workshops make the weeks fly by and there has been very little relaxing. I'm very happy when I'm busy. 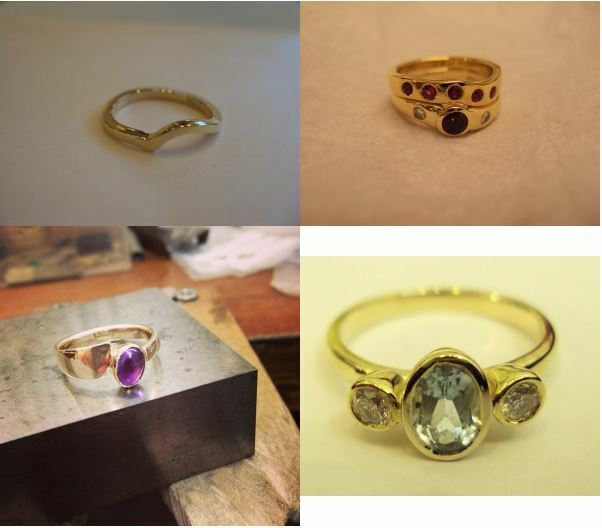 Many commissions involve melting down a customer's existing jewellery and making the gold or silver into something new, often with stones. Here are a few examples of jewellery I have made in this way lately.